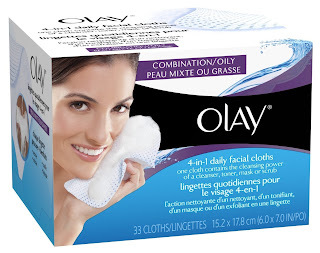 66ct Olay 4-in-1 Daily Facial Cloths only $4.65 w/ Free Shipping! Head over to Amazon to get a great deal on a 66ct pack of Olay 4-in-1 Combination/Oily Daily Facial Cloths. Featuring a smooth side and a textured side with over 3000 microbeads, each cloth gently breaks up dirt, oil and make-up - even mascara to cleanse 2X better than basic cleansing. Exfoliates and deep cleans to give you smoother looking skin in just one week. Essential cleansing formula tones skin and contains pro-vitamin B5, beta hydroxy acid and witch hazel. They cost $7, but you can get the price down to $4.65 by doing a few things. First, buy using Subscribe & Save to save 5% and get free shipping. This is on the right side of the page. Select 6 months to give you plenty of time to cancel. You can cancel in one-click via your Account Page after the item ships. This will make the price $6.65. Then, "clip" the $2 off coupon found in the middle of the page. You need to be logged into your Amazon account in order to see it. (discount will be shown at checkout) This makes the price just $4.65 shipped! These currently cost $11.97 at Walmart, so seems like a great deal to me.